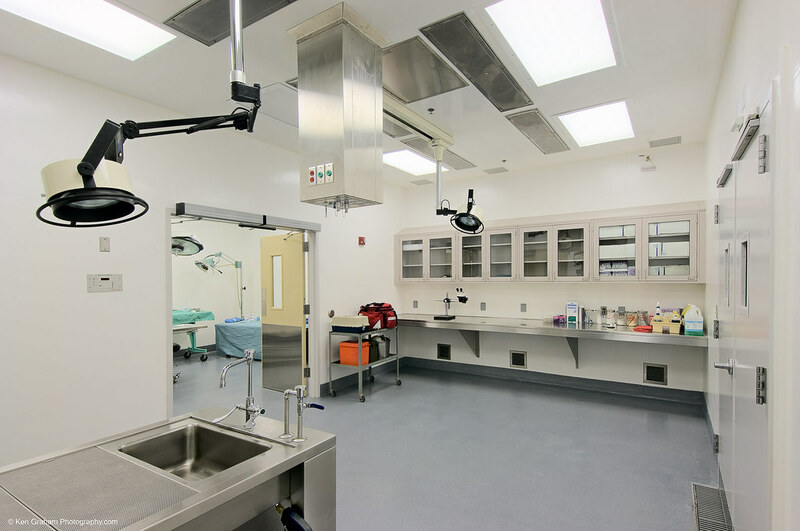 PDC provided full service engineering design including civil, structural, mechanical, and electrical services for this 30,000 sf state-of-the-art biological research and diagnostic facility. 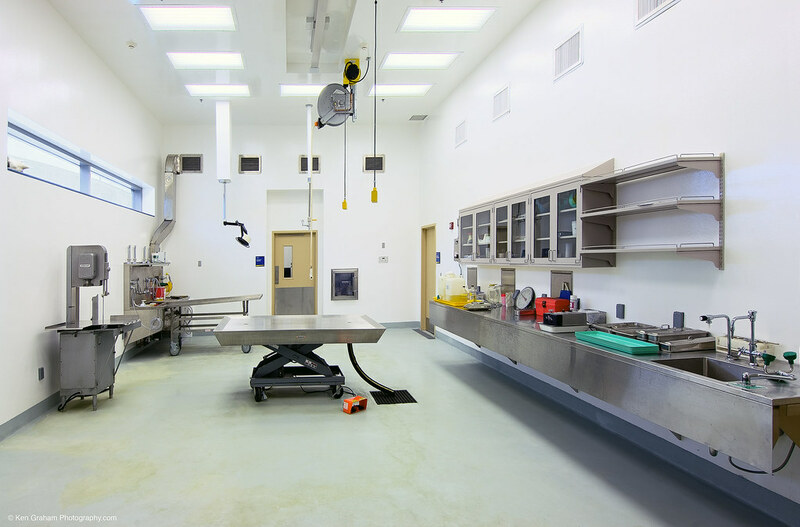 This facility provides central support for campus animal research activities. 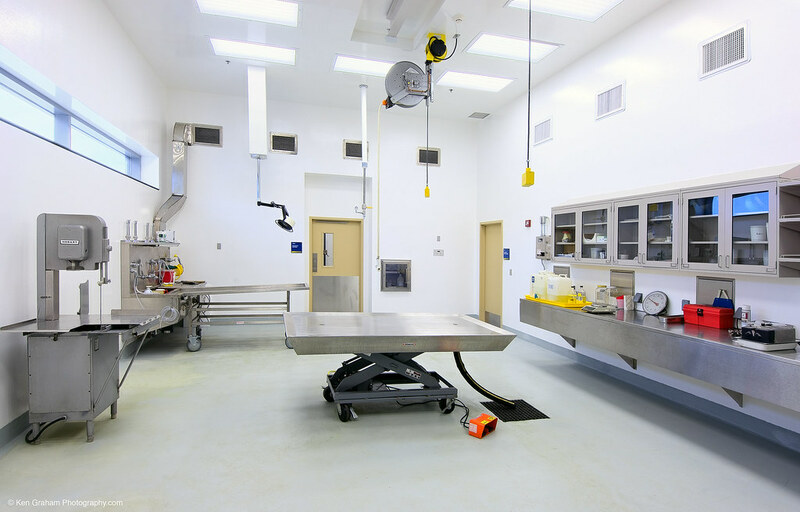 The facility includes research animal holding and procedure functions; surgery, necropsy, waste handling and laboratory functions; and administrative and teaching space. 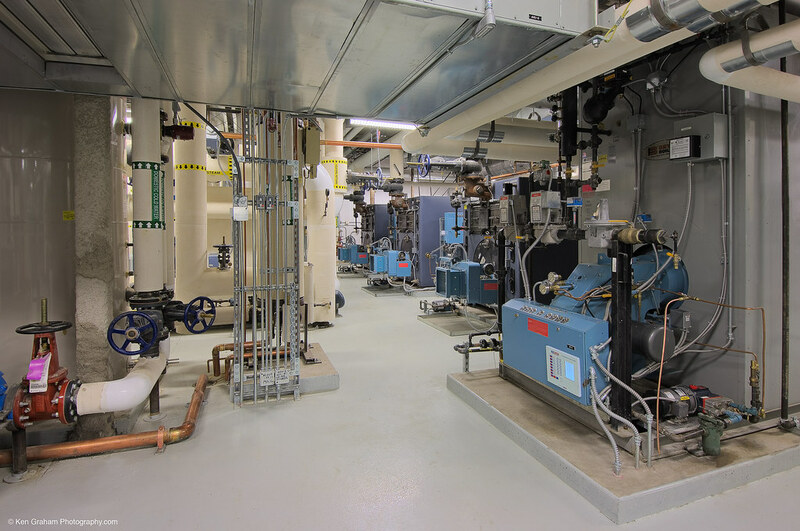 The gravity load resisting system consists of steel beams and columns with composite metal deck and concrete floors. Maximum flexibility dictated modular spatial arrangements for the bay spacing and column/beam sizes. 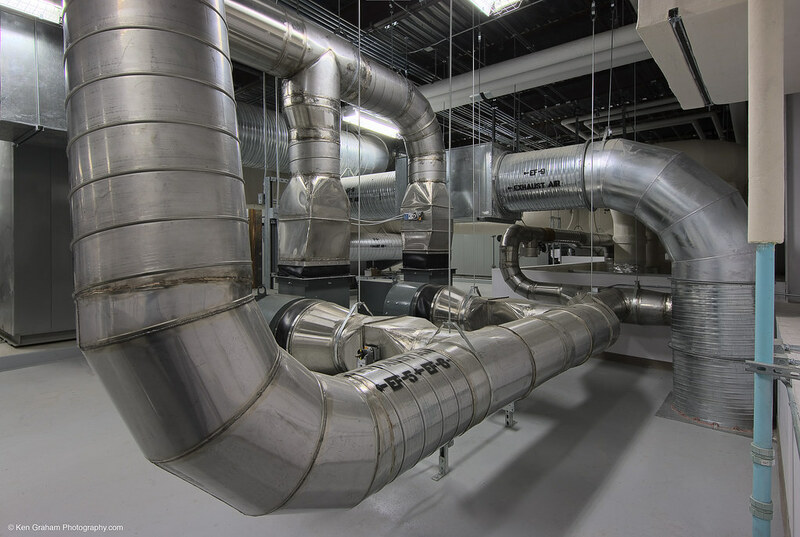 Seismic loads governed the design of the primary systems, and wind loads governed the design of secondary structural elements such as exterior wall studs, curtain walls, and incinerator stack. 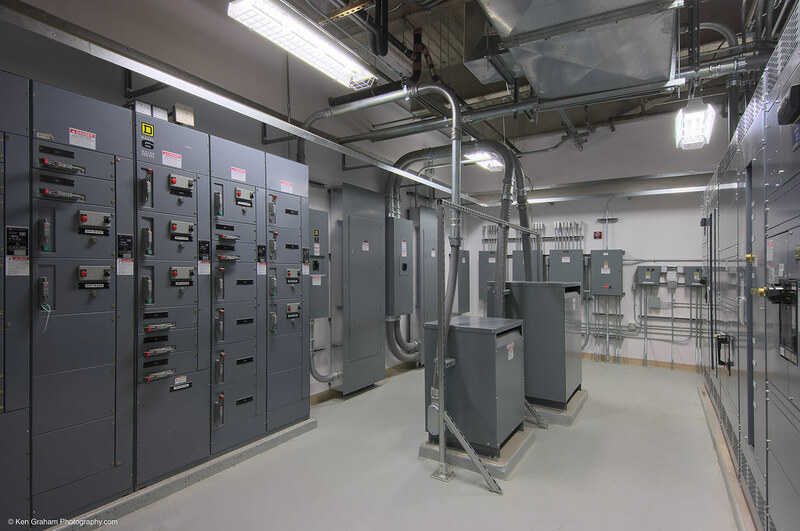 Steel braced frames were chosen for the lateral load resisting system. 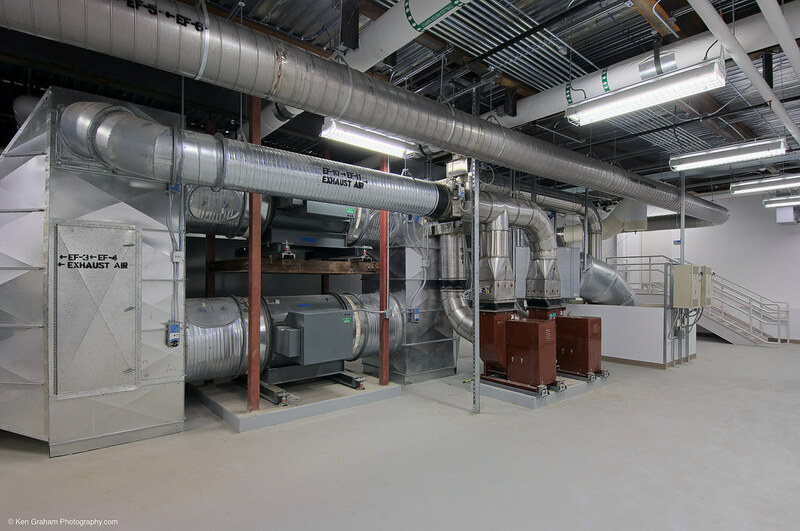 The civil and structural design utilized an early site/structural design package, developed with input from the steel detailers, to enhance the building schedule with early provisioning. 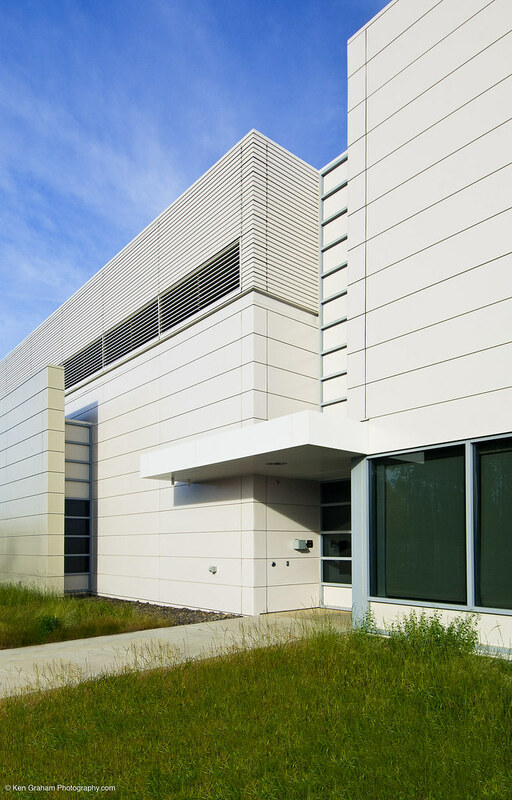 Close coordination was required among all design disciplines to incorporate building elements not fully designed. 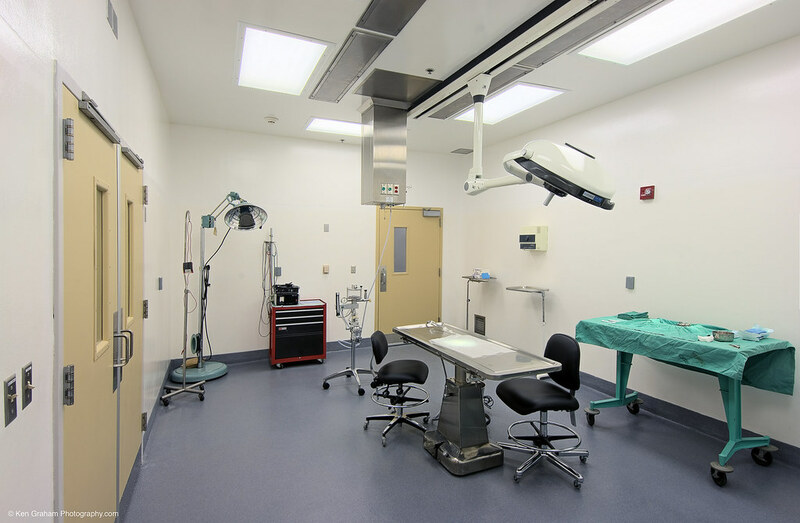 An interstitial space was employed to enhance maintenance access to mechanical and electrical systems. 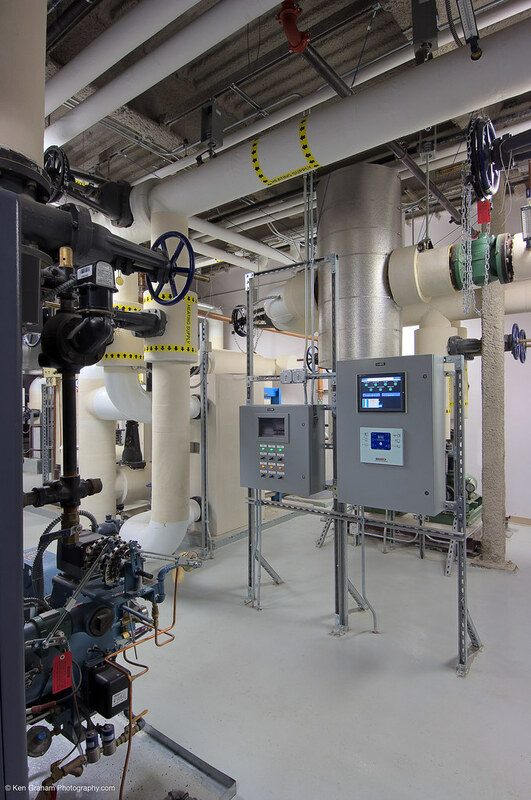 Special mechanical and electrical systems were designed to support laboratory functions such as ventilation pressurization gradient control and monitoring, diurnal lighting systems for animal holding areas, contamination barrier protection with animal cage washing systems, integrated fire alarm and security system with the UAF campus and an incinerator for necropsy support. 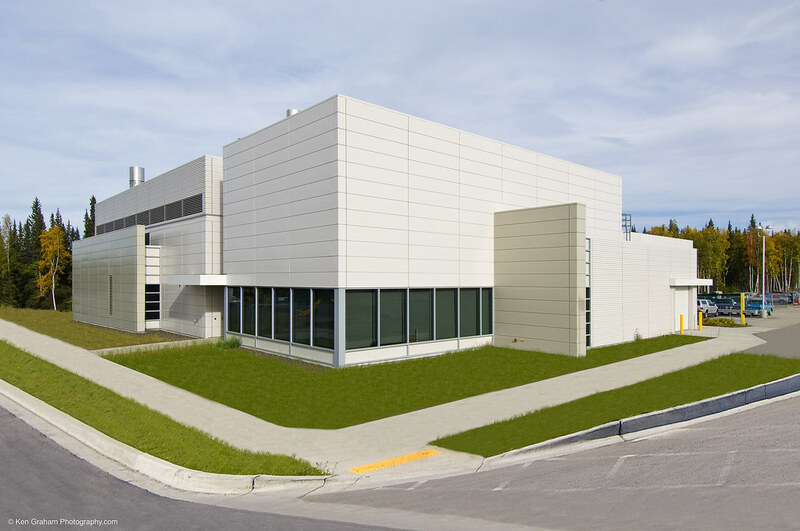 Special attention was given to energy use for this arctic facility by integrating air to air heat recovery systems, high efficiency lighting, occupancy sensors and other energy savings systems while meeting the strict National Institutes of Health guidelines for laboratories. 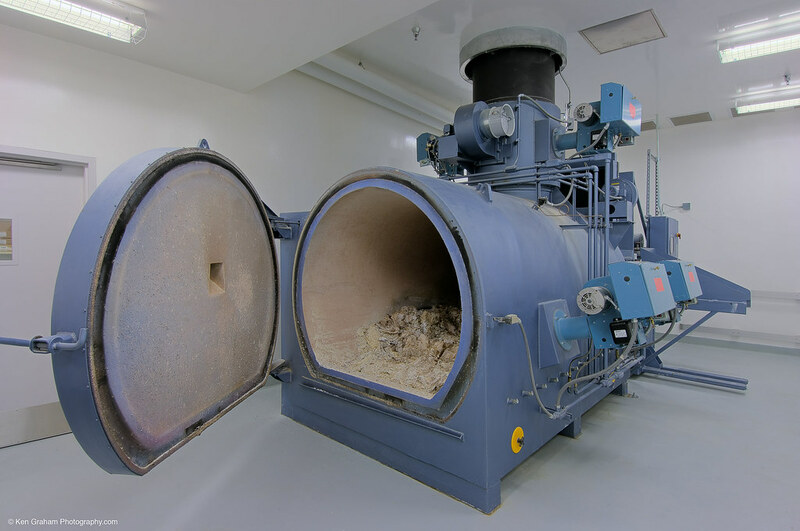 In addition, special attention was given to minimize the potential for re-entrainment of laboratory exhaust.